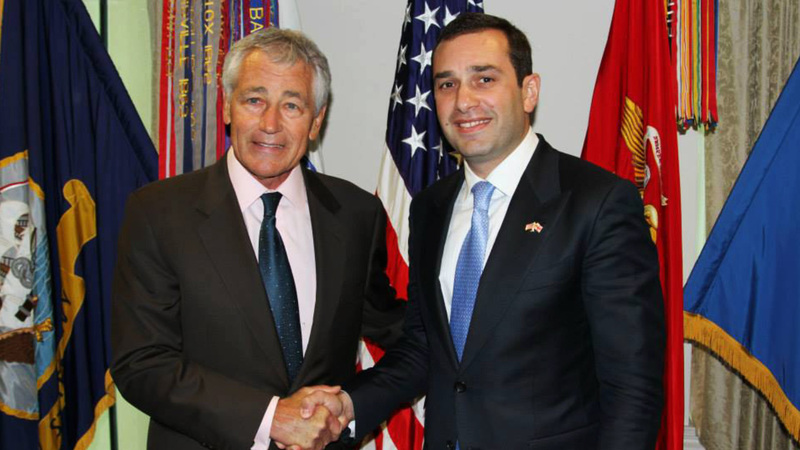 Defense Minister, Irakli Alasania, said he expects active discussions to start later this year and early in 2014 about specifics of what should be “next step” on Georgia’s path to NATO integration in the context of NATO summit in 2014. If Georgia’s does join NATO, it will lead to years of tensions, broader than just a conflict over the breakaway territories of Abkhazia and South Ossetia, for “you will become a member of a military alliance that is presumed an enemy in certain circumstances,” Medvedev said. 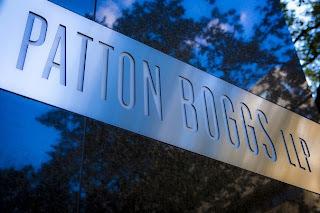 According to the initial six-month contract which expired this month, Patton Boggs was helping the Georgian government 'from the point of view of aspiration to join NATO, as well as in relations with the U.S. government and Congress, in relations with media outlets and those involved in shaping public opinion, in the organisation of related events and meetings, as well as informing the United States about events in Georgia'. Evidently, Patton Boggs has been quite successful in the past. Georgia is now working to expand its cooperation with close NATO partners and proxies as well. 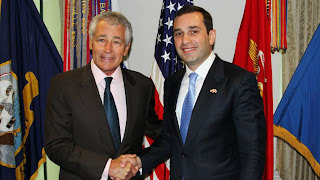 During his U.S. trip Defense Minister Alasania emphasized the close relationship with Israel and that he is looking forward to visit the country "pretty soon". Antonov said Russia is closely monitoring the progress of NATO’s global missile defense system in Europe and in the Asia-Pacific region while studying how the system's readiness could affect Russia's nuclear deterrence potential. With 1260 military personnel taking part including ground support from USA, UK, Tajikistan, Kyrgyzstan, Sweden, Italy and Lithuania, the Military Partnership Directorate HQ carried out all evaluation functions. Observers from Spain, Germany, Belorussia and Ukraine also participated. 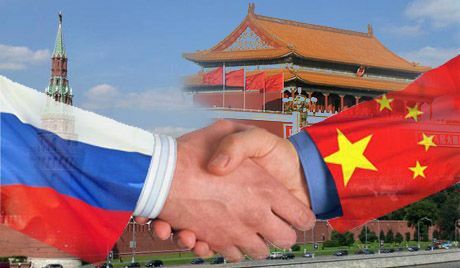 Under the complex and profoundly-changing international situation, China and Russia need to assure their mutual respect and trust, support each other on safeguarding national sovereignty, security and stability as well as development interest, the two officials said. Pakistan is desirous of attaining full membership expeditiously, but it is also cognisant of the fact that presently the permanent members of SCO want to maintain a low-key, rather than announce their intention of providing counterfoil to Nato. The membership application of Turkey, which is already an ally/member of Nato, and Iran raise questions and are subject to debate. Keeping this in view, Pakistan realises that offering full membership to one country and denying to others will create a dichotomy so it is willing to bide time till an opportune moment arrives. The head of the department also said that the creation of the Bank of the SCO will allow to conduct a single fiscal policy, to take measures to overcome financial and economic crisis, to finance major projects. In recent years, SCO member states have sought greater energy cooperation. This follows a formulated dialogue and integrated concept for the creation of an energy club. SCO member states want to create a unified energy market for oil and gas exports, while promoting regional development through preferential energy agreements. Zhang Hanhuey: "SCO will work further in the fight against terrorism, separatism and extremism"
"There are many different forces in the region. They interfere or intervene in the internal affairs of states. Of course, they do not want stability in Central Asia, they want to repeat the revolution and with all sorts of pretexts to change the legal power. This is very dangerous," said Zhang Hanhuey. I wonder if there is a connection between these "forces" and the "forces" working to create new states in the region?! But maybe we should add this to the list of conspiracy theories in Central Asia. Commenting on the question if there will be information vacuum in Afghanistan after 2014, Zhang Hanhuey said: "there will be no vacuum – there will be a swamp. If someone shove his foot there, it will be difficult to pull it out." A recent upswing in activity by Central Asian militants in northern Afghanistan may indicate that they plan to exploit a possible vacuum left by the departure of North Atlantic Treaty Organization troops next year to reinsert themselves into their own countries, regional experts say. "While NATO troops were operating in areas they needed to cross, they did not dare move openly across the country," he said, adding that now "they've begun to step up their activity within the Central Asia countries and actively recruit jihadi supporters from the local population. That indicates that they have resumed their activities and are preparing for something." Provincial security chief for western Nimroz province of Afghanistan has been arrested by counter-narcotics police forces, over drugs smuggling charges, local officials said. 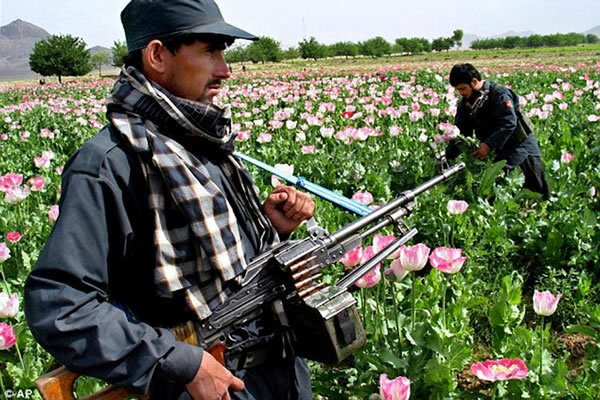 Tajikistan, a transit point for more than 30% of the Northern Route drug flow from Afghanistan, is stepping up measures to combat narcotics trafficking. Tajikistan's law enforcement agencies seized more than 3,743 kilograms of drugs for the first six months of this year; the rate increased by 10.7% compared with the same period last year, the press service of the Drug Control Agency said. Representatives from Kyrgyzstan, Kazakhstan, Tajikistan, Uzbekistan, Turkmenistan and Afghanistan will participate in the event. The first meeting of the heads of border agencies was held in 2011.